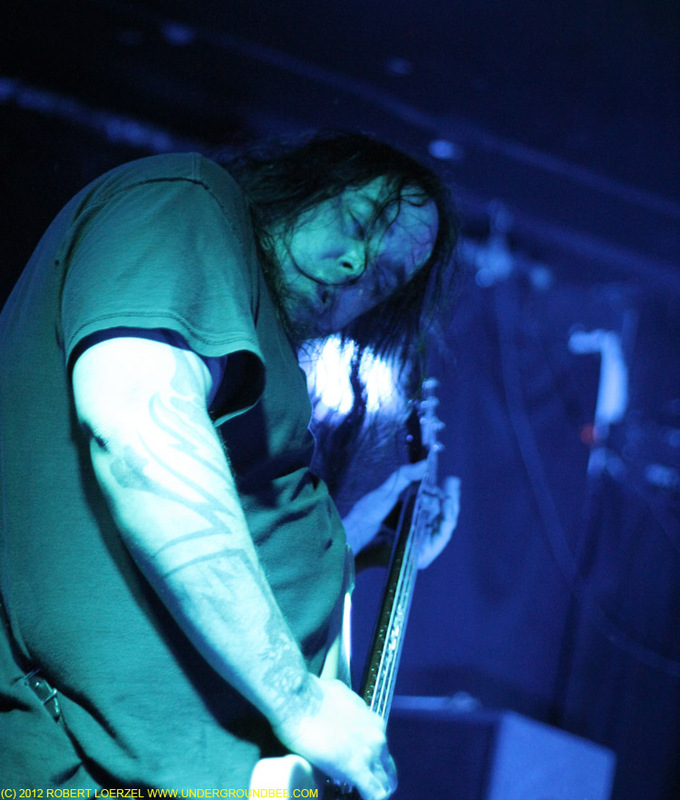 OM emerged out of the heavy music genre that’s often called stoner rock, but the band has moved beyond that sound — exploring Middle Eastern melodic structures and other mystical elements. 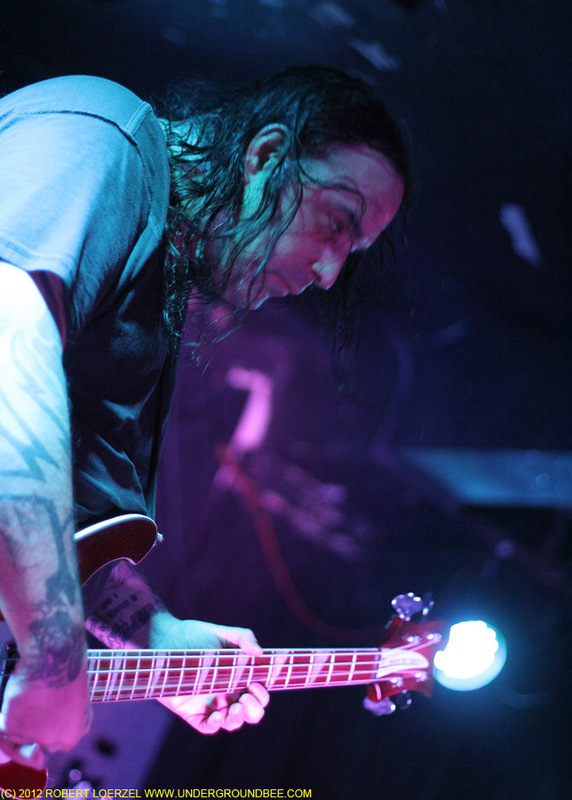 When OM started in 2003, it was the duo of Al Cisneros and Chris Hakius, who’d been the rhythm section for stoner legends Sleep. 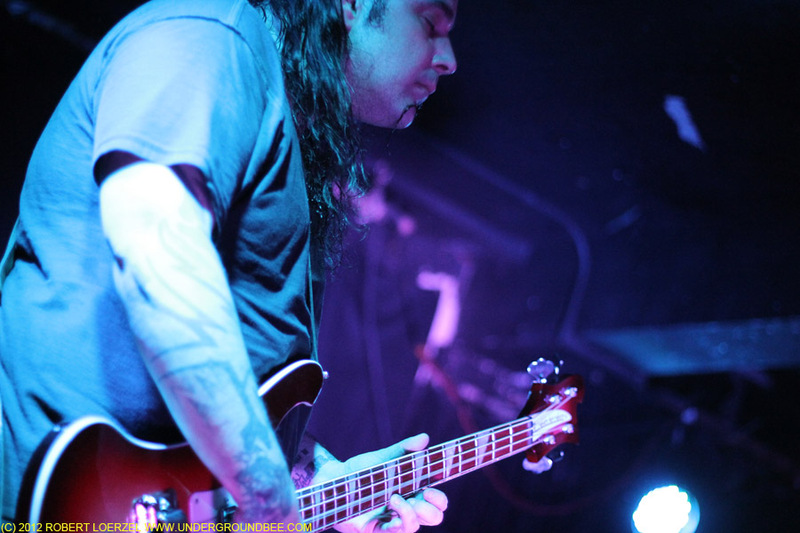 OM’s most recent lineup has bassist-singer Cisneros playing with drummer Emil Amos — and now, former Chicagoan Robert A.A. Lowe, aka Lichens, has joined the roster. The three of them played Saturday (Nov. 17) at the Empty Bottle, playing music from their recent record Advaitic Songs as well as older songs. OM’s latest studio recordings sound trippy and almost meditative at times, but each song keeps moving forward with an insistent quality. 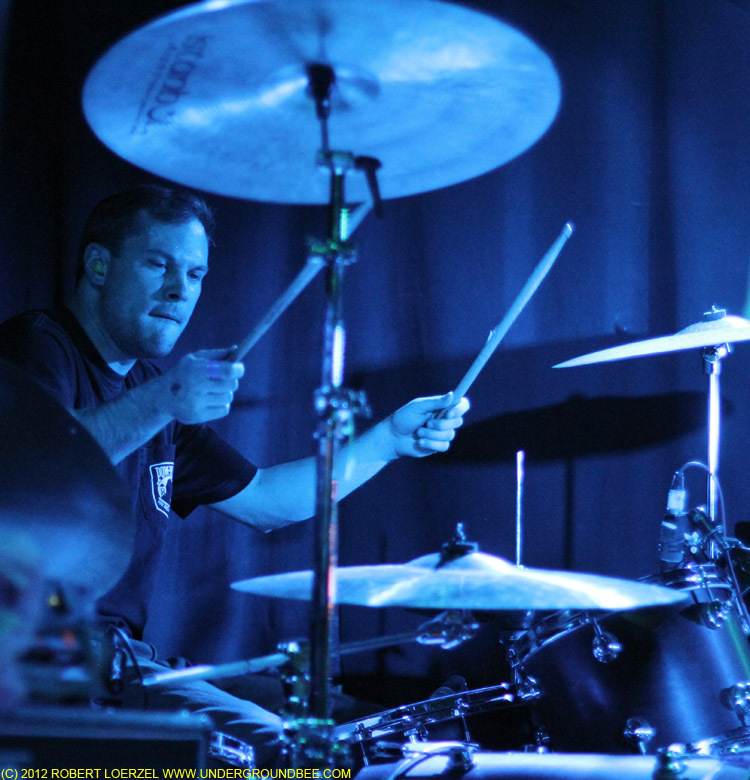 The rhythm section doesn’t have to drive you to keep listening — there’s simply something inherent in those exotic musical motifs that makes it feel natural to keep them on repeat. 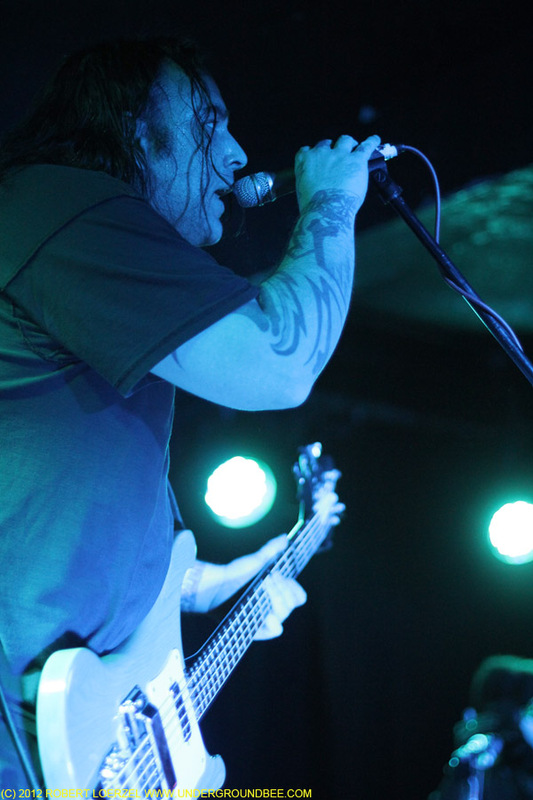 As a live act on Saturday night, playing to a jam-packed, sold-out Empty Bottle, OM turned up the heaviness, hammering the bass riffs home with more force. Sitting behind a table, Lowe seemed like an essential part of OM’s musical quotient, singing, playing guitar and fiddling with various electronic gear as he painted more layers on top of OM’s sturdy foundation. 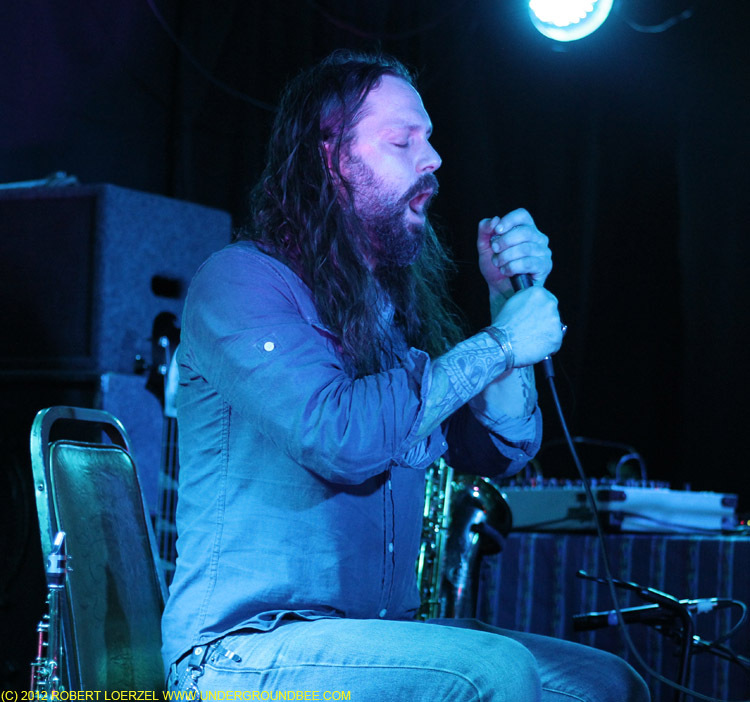 Saturday’s show started off with a solo set by Bruce Lamont, who’s also the singer and sax player in the arty heavy metal band Yakuza, the Robert Plant simulacrum in tribute band Led Zeppelin II — and an Empty Bottle bartender. 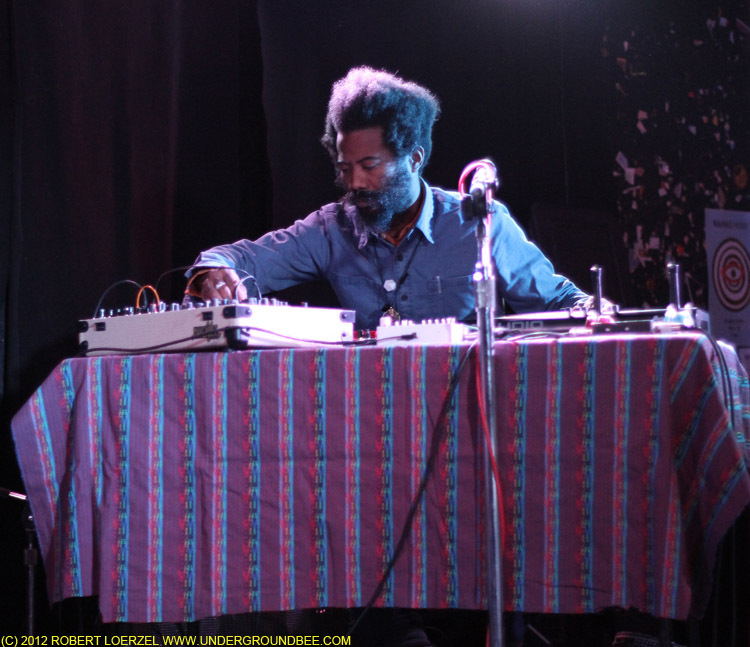 Lamont used looping to build an evocative drone with his voice, guitar and woodwinds. The second act of the night was Daniel Higgs, who used to sing with the band Lungfish and also collaborated last year on a terrific punk record by the Swedish band Skull Defekts. 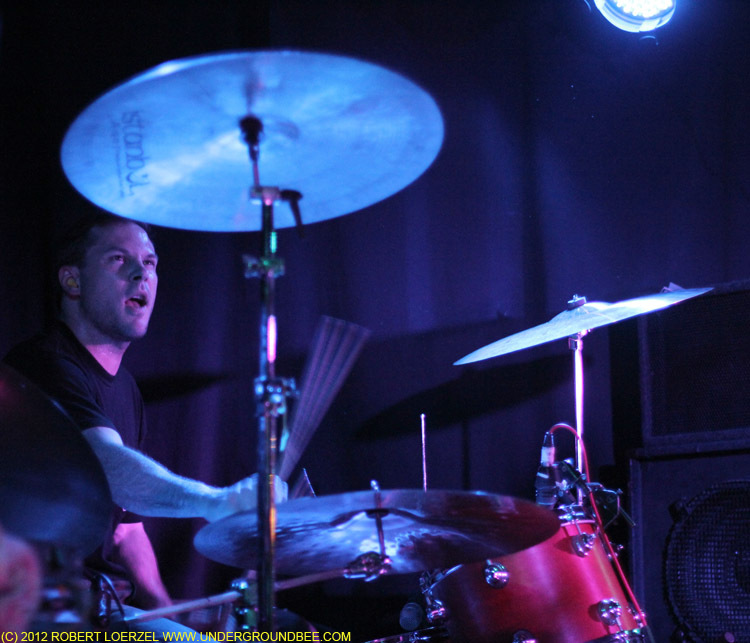 (See my review and photos of Higgs’ 2011 show with Skull Defekts at the Hideout.) 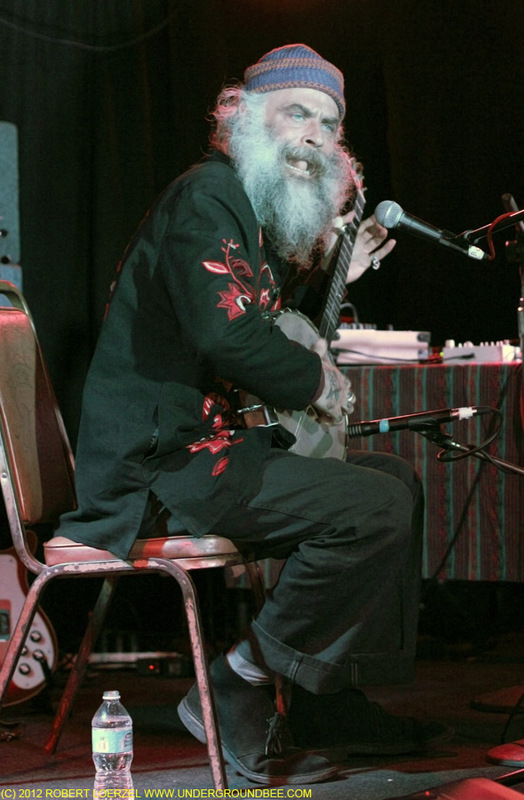 For his gig at the Empty Bottle, the gray-bearded Higgs sat with a banjo and intoned songs of epic length with lyrics that spooled out with no end in sight. In fact, most of the set seemed to be one song, which he interrupted and then returned to. He told the audience that he was still working out some of this material, trying to decide on a melody to go with his words. It was often compelling and interesting, but it got monotonous by the end of his set. Like many other musicians playing quiet music on the Empty Bottle’s stage, Higgs seemed to be frustrated with the chatter of bar patrons intruding on his songs, but he addressed his frustration by addressing the crowd in strange, elliptical and humorous comments. “I think they should turn this place into a church,” he said at one point. And then he got the crowd to sing a note, directing us just to make it up. “This concert needs a recalibration,” he explained.